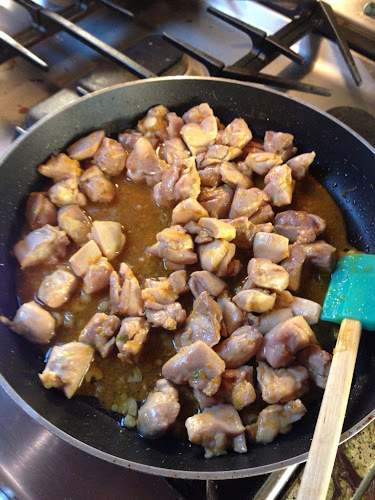 Cut up raw chicken thighs into bite size pieces. Heat Coconut Oil in a pan and add garlic, green onions, and chicken thighs (if you like spicy things add the red pepper). Add zest from Tangelo, juice from Tangelo, Ground Ginger, Siracha and Worchester sauce to a separate pan. Put on low simmer, stirring occasionally. Once chicken has cooked add it to the orange sauce. Cook a bit longer for about two minutes. 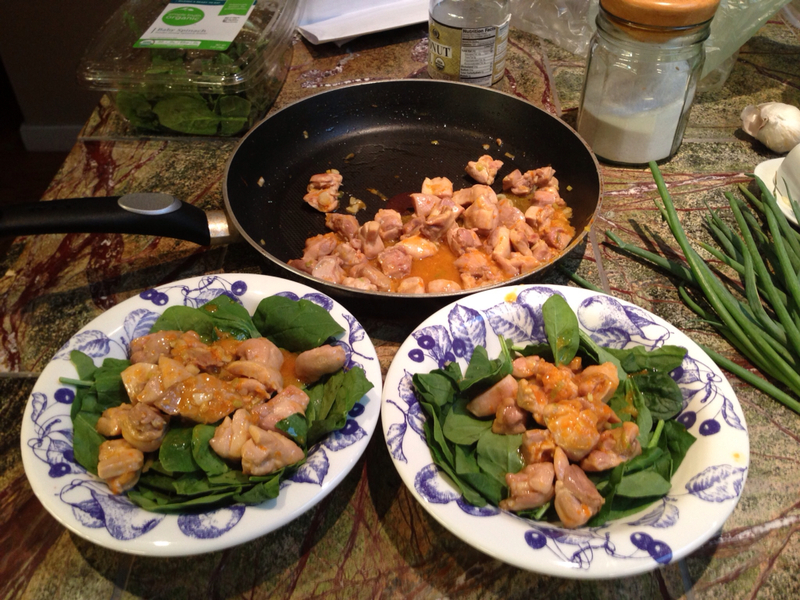 Then pour chicken and sauce onto a bed of spinach.